Admitted to bar, 2001; Education: Illinois State University (B.S. in Political Science, 1988); Southern Illinois University (M.A. in Political Science, 1995); St. Louis University School of Law (J.D., 2001) Member: American Bar Association and Illinois State Bar Association. 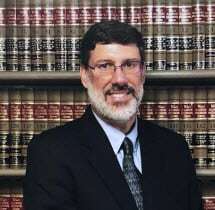 Mr. Allen practices in the following areas of law: Estates and Trusts, Family Law, Divorce, Guardianships, Litigation, Real Estate Law, Tax Law, Business Law as well as General Practice.